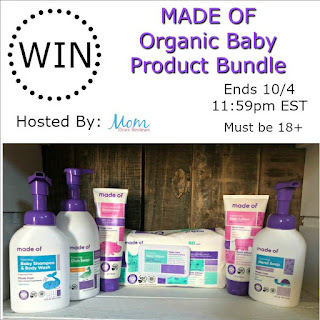 This giveaway is sponsored by MADE OF and hosted by Mom Does Reviews. If you have a young child what a wonderful giveaway for you to win. Using products that are safe and organic is especially important in this day and age. I have no children but all I keep seeing is a baby shower gift that I would be proud to give! Or perhaps as a gift to a family member with young children. I bet Grandparents would love to have this in their homes for when those precious little ones come to visit! Read the review below then come back and enter!! 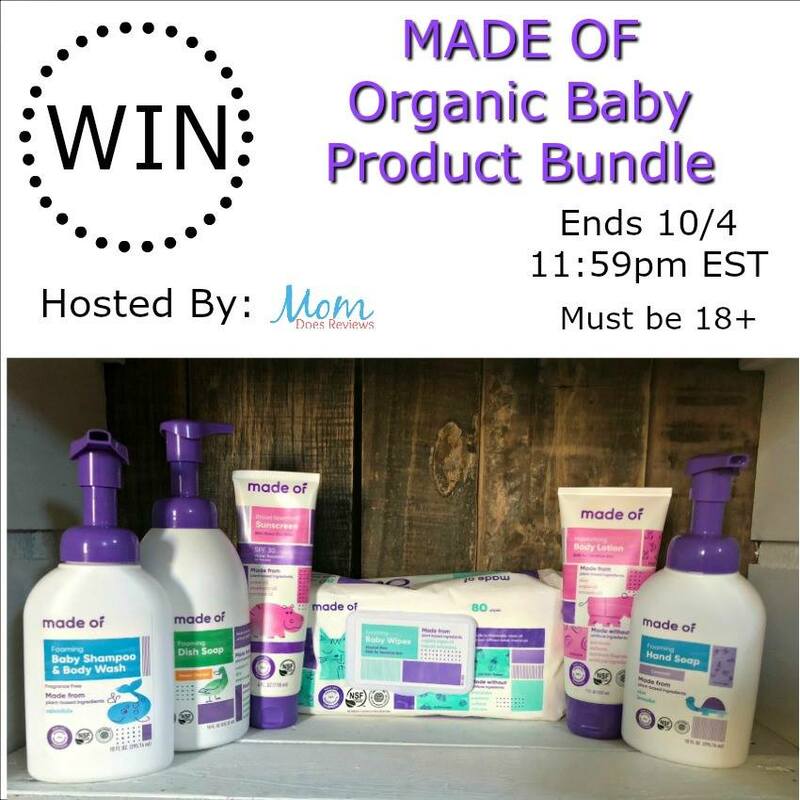 MADE OF is a company that makes products made with ingredients that are safe to keep you and your family clean, without harmful chemicals. They have products from diapers to hand soap to surface cleaner and everything in between. It’s everything to make sure you and your little ones can get clean the organic way. Everything smells so good and it’s a brand I know I can trust to keep my family happy and safe! I'd like to try the baby lotion. Would like to try the hand soap. 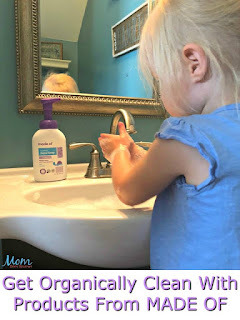 I would love to try the hand soap for the whole family and the spray cleaner. I would like to try the hand soap. i would love to try the lotion.